Sony Xperia C is the company’s first smartphone powered by a MediaTek chipset.We’ve also managed to put our hands on a unit and we are ready to share our traditional hands-on videowith you. 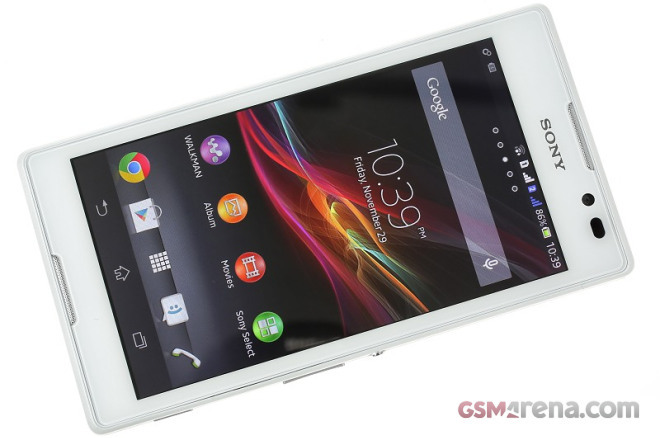 The Sony Xperia C comes with a quad-core 1.2GHz low-powered Cortex-A7 processor, PowerVR SGX544 graphics and 1GB of RAM. While hardly the benchmark champion, this is the kind of hardware that can deliver either excellently smooth experience provided that the software is optimized well enough. The Sony Xperia C is built around a large 5.0″ TFT display with 540x960px resolution, and it has dual-SIM capabilities and an 8MP rear camera as its key selling points. It runs on Android 4.2.2 Jelly Bean, but there is no information on upcoming updates just yet. Sony Xperia C was initially targeting the developing Asian markets, where the dual-SIM capabilities are a mandatory option, but it has since expanded its reach quite significantly, suggesting better than expected initial performance. Our in-depth review is already in the works and will pop up on our homepage next week.